In April this year, John Butler, 62, went to the flat of his former partner, Pauline Butler, 61, and stabbed her. In his trial, Butler told the court that he couldn’t remember how the knife had ended up in his hand and that he had fallen after she had pushed him, causing him to accidentally injure her. The court heard that Pauline Butler had previously threatened him with a knife. Of course, being dead, she wasn’t able to challenge his version of events. Pauline had been found with a number of knife wounds to her neck, chest and back. As judge, Mr Justice Edis pointed out, had Butler not wanted Pauline to die, he would have called an ambulance, rather than remove and wash the knife, take her dog to his home, drink a beer and smoke a cigar. Butler was found guilty of manslaughter, not murder, due to loss of control, and sentenced to jail for seven years in jail. Sybil Sibthorpe was 80 years-old in May, 2012, when she was found in her garden with “significant” head injuries after being beaten by her former tenant Lee Grainger, 41. Grainger pleaded guilty to manslaughter on the grounds of diminished responsibility and was sentenced to 12 and-a-half years. According to the judge, Grainger was “a significant danger to the public”. Adrian Muir, 51, killed Pamela Jackson, 55, by beating or kicking her head with such force that she suffered fractures to her skull and bleeding to her brain. He then drove over 120 miles before digging a grave in moorland and burying her with a bunch of flowers in a Tesco carrier bag. Muir initially denied murder and claimed he had been framed. He posted fake entries from her Facebook page suggesting she was still alive. It took police more than two months before they found Pamela’s body in May 2013. Muir’s fingerprint was found on the carrier bag inside her grave, and a CCTV camera caught him cleaning the back of his car in a supermarket car park. He later claimed that she had attacked him, “like a bloody devil”. Muir was jailed for 18 years, not for murder, but manslaughter. Felipe Lopes, 26, had a six-year police history of violent assaults on women before being jailed for 12 weeks in 2012 after tracking down and assaulting an ex-girlfriend whom he had previously stabbed. Within two weeks of his release, in January 2013, he had beaten 23-year-old Anastasia Voykina to death with a hockey stick. Before he killed her, neighbours had called the police to her flat on two occasions, because, they said, his attacks on her were so severe, the building was vibrating. Judge Richard Marks said to Lopes: “There is no doubt in my mind you intended to kill her. You are and will remain for an indefinite time a significantly dangerous man, particularly to women.” Lopes pleaded guilty to manslaughter, not murder, on the grounds of diminished responsibility because of his mental health problems. He was jailed for a minimum term of seven years and three months. Like Filipe Lopes, Vincent Francis had a history of violence against women. In court it was alleged that he had assaulted his girlfriend, Holly Banwell, at least 27 times. Some of the assaults had been overhead by neighbours; it was also alleged that he had attacked a previous partner. 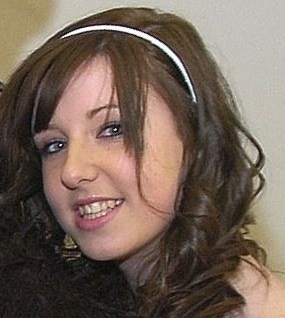 On 4 September, 2009, Holly had been out with her 17-year-old friend Stacey Hyde, they had then gone back to the flat that Holly and Vince Francis shared. Stacey remembers waking up to hear Holly screaming but not what happened next. A 72-year-old neighbour told police that she saw Francis trying to swing Stacey around by her pony tail while her friend Holly looked on, screaming. Holly Banwell called the police, telling them “…my boyfriend is beating my friend… I need the police ASAP”. On the recorded call she is then heard saying “they are fighting”, before screaming “Stacey has a knife and has stabbed him”. Stacey was sobbing when the police arrived, she told them “he tried to kill me…I had to help Holly…he was going to kill her…I thought he would kill me…”. In March 2010, at the age of 18, Stacey Hyde was convicted of murder and sentenced to life imprisonment. While awaiting trial she had been given well-intentioned but misguided advice from other prisoners affecting her responses in court and possibly, consequently, how she was viewed by the jury. The law has been changed since then too, so that loss of control caused by fear of serious violence can now be taken into account, but this wasn’t an option at the time Stacey was convicted. Stacey is due in court to appeal her conviction on Thursday and Friday this week, the 13th and 14th November, 2014. Since her conviction, new evidence has emerged about her mental health, for example that she had ADHD at the time of her offence, and in addition, other psychiatric diagnoses resulting from a difficult childhood. If Stacey’s appeal is accepted, her conviction for murder will be overturned for one of manslaughter. She has already served five years and it is possible that she will be released from custody. Trials for murder and manslaughter are complex. Each with their own particular circumstances and it is right that those circumstances are taken into account. I’m sure there are many reasons why Stacey’s case can’t be directly compared to those of the men I’ve mentioned above, and yet: Unlike 62-year-old John Butler who claimed he’d been attacked by Pauline Butler before he stabbed her, or 51-year-old Adrian Muir, who claimed Pamela Jackson attacked him before he beat her head and fractured her skull, a 72-year-old neighbour had witnessed Francis attacking Stacey, and Holly Banwell called the police telling them that he was beating her. Also, unlike Muir, she didn’t lie her way through a two-month police investigation. Like 41-year-old Lee Granger, who killed 80-year-old Sybil Sibthorpe, at 17, she was half the age of the man she killed. But a 17-year-old young woman – in fear of her life and that of her friend – killing a 34 year-old-man, cannot really be compared to a 41-year-old man, described by a judge as a risk to the public, bearing a grudge against and beating to death his 80-year-old former landlord. Stacey was 17, legally a child, a child with a history of mental health problems and experience of sexual violence, when she killed 34-year-old Vincent Francis, a man with a history of perpetrating violence. Her claims of being assaulted by the man she killed are not unverified. She is not a risk to the public. She did not lie and deny her actions though the investigation. She did not try to hide a body. Unlike John Butler, Lee Grainger, Adrian Muir, Filipe Lopes and many men who have killed women since she killed Vincent Francis, Stacey Hyde was found guilty of murder, not manslaughter. Stacey has never denied that she killed Vincent Francis, but she wasn’t a murderer, she was a child, a frightened child. Please support Justice for Women in their fight for justice for Stacey Hyde. This entry was posted in Domestic Violence Homicide, Fatal male violence against women, Justice for women, Male violence against women and tagged #domestic violence homicide, #male violence against women, justice for women, Stacey Hyde. Bookmark the permalink. ← Why the hierarchy of dead women and girls? A life sentence under these circumstances seems totally wrong. The account above suggests she was in great fear and killed to defend her friend and herself from an abusive, violent man. This is not justice. Another case of victim-blaming. Stacey is a victim of violence and of the system which has failed her. The real crimes here are those perpetrated towards Stacey by her attacker and those of the CJS for jailing her for what must surely be self-defence. That poor young woman. I despair. I hope that she is released soon and that she gets the support that she needs on release. As usual mens’ Male Supremacist Legal System continues to charge women who have killed a male(s) in self defence with murder whilst males who cold bloodedly murder women are charged with the lesser crime of manslaughter!! Stacey Hyde’s conviction for murder is not an isolated case rather it is symptomatic of mens’ Male Supremacist Legal System because men have to constantly reinforce their male lie that when and if a woman kills a man in self-defence she will be severely punished for daring to end a male’s life. However, lethal male violence against women and girls continues to be minimalised/excused/justified on the grounds these male murderers were suffering from ‘loss of control; temporary amnesia; the female victim provoked them (a common male lie because the female victim cannot challenge this male lie). I so hope Ms. Hyde is finally released because she did not murder violent male Francis but had acted in self defence. But self-defence is only allowed for men never women!